We offer high quality early years education within a nurturing, family-focused environment to enable children from newborn through to five years to explore and thrive in their own unique way. 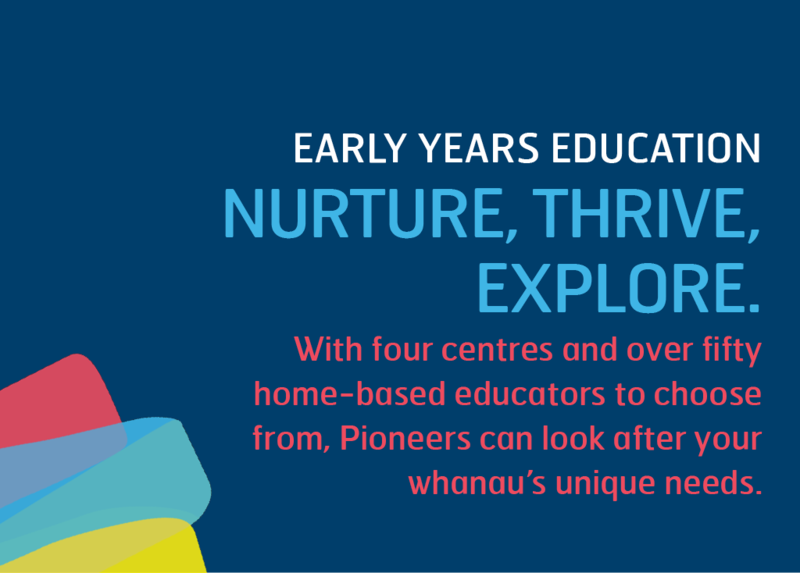 With four centres based throughout Dunedin and 40 educators providing home-based education, we offer early years education to suit every child and their family. We only employ the very best teachers and home educators – people who are highly trained and passionate about early years education – so no matter which option you choose for your child you can be assured that they are in capable and caring hands. When it comes to growing bright young minds, we’ve got experience on our side. 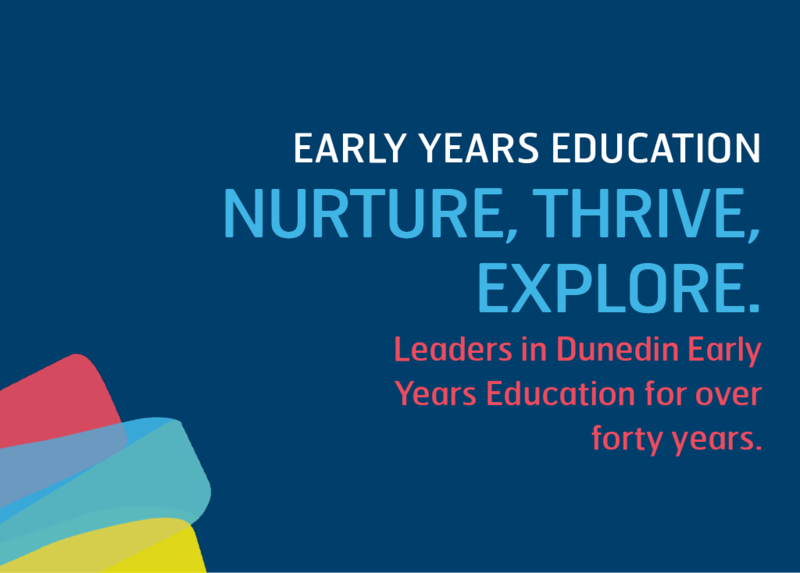 Pioneers – formerly known as the Dunedin Community Childcare Association – have been caring for and educating pre-school aged children for more than forty years. Our name says a lot about us. We’re an organisation with a proud history and an exciting future. Nurture Caring for and supporting your child as they take their first steps on an exciting educational journey and develop as individuals. At Pioneers we foster nurturing relationships at every level – between children and teachers, between children themselves, and with your whanau – enabling every child to thrive. Thrive An extraordinary education is what enables an individual child not just to grow and develop, but to truly thrive as they explore a wonderful new world of learning. Whether it’s centre-based or home-based education, at Pioneers there are opportunities aplenty and to suit each child’s unique needs. Explore Early years education is a journey of discovery, about the world around us and about ourselves. At Pioneers we provide a safe, caring and challenging environment in which children can explore, find out how to learn and feel confident about taking the step onto primary school education. 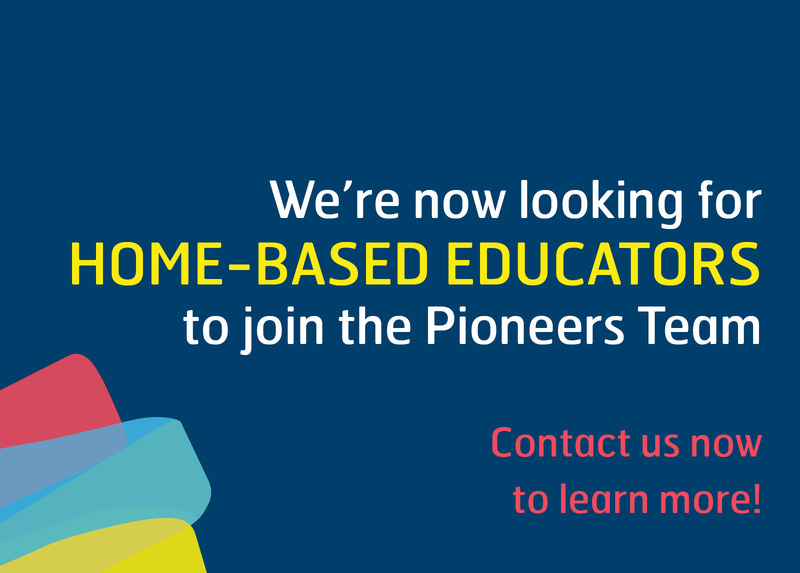 We have four centres and 40 home-based educators throughout Dunedin. At each of our centres you’ll find highly qualified teachers on hand to create a happy and nurturing learning environment for your child. While all Pioneers centres offer the same high standards they also have their own special characters and each has something a little different to offer. We encourage you to check out each centre’s information page and book a visit to see which option would best suit your family’s needs.